You, like me, are interested in being the best that you can and having the best experience. You are in very safe hands. Like Winston Churchill said: "I am easily satisfied with the very best." - and that is what you will get with my therapy. 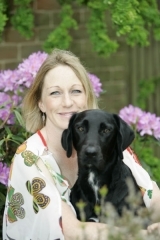 Welcome to Kirsty Hurrell Hypnotherapy, the home of the best Solution Focused Therapy. Right now you may be feeling the weight of the world is on your shoulders, or a sense of being out of control or perhaps you want to break an unwanted habit or be free from a painful emotional past. The great news is, whatever problem you would like to tackle, I can help you to help yourself transform your life, so that you can be the person you want to be and break free from any limiting beliefs. You will leave each session feeling lighter, brighter and much more positive about your life, with a real sense of freedom. It is great that you have decided to take the first step for your own well being. I use a combination of advanced Hypnotherapy and Solution-Focused Psychotherapy, Neuro-Linguistic Programming (NLP), Emotional Freedom Technique (EFT) and Matrix Reimprinting to help my clients experience long lasting great change. Free yourself from self-imposed limitations, set your own direction and let me make a difference to you. I work from a clinic in Norwich. I have recently had an article about me published in EQ Life magazine. Click here to read it. "I read the article about Kirsty in EQ just as I was starting a new young horse and wanted to make sure I didn't let my nerves damage our relationship before we even started. I booked an appointment with Kirsty who, because she has horses herself, understood the dilemma well. After the first session my confidence improved and I was really looking forward to riding my new horse. After the second session I noticed a big difference in the way I behaved around him and the fact that he was responding positively to my calm and controlled approach. The process was simple and it's hard to define what made the difference but it has started me off on a journey that has helped me feel much more positive and confident."